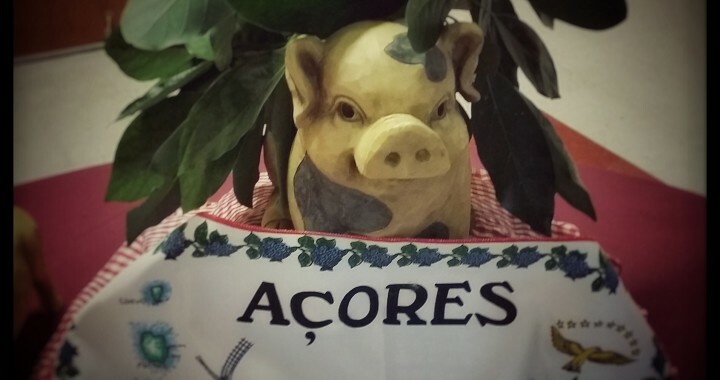 IFES Society just celebrated their yearly Matança, or Traditional Açorean Pork Feast event this past weekend and it was simply a delightful event. The food was extraordinary and the follow up entertainment a blast from the past. The evening was livened by Laurenio Bettencourt, whose musical talent is esteemed by the established members of the community and who will no doubt enjoy a growing following from the the younger crowds as well. Thank you Sro. Laurenio for an enjoyable evening! Before dancing the night away, however, there was the feast. A traditional Açorean feast with home made, well ... everything. And although the traditional Matança do Porco, or Killing of The Pig, is slowly disappearing, its spirit still remains alive and well in our communities. The spirit of families, neighbors and community gathering to work and live together. Kudos to all of the volunteers at IFES for putting together a great event and making it such a worthwhile gathering!